Pokemon Travel have released two new products in their Poké Ball Transform series of products which turn from a Poké Ball into something else. 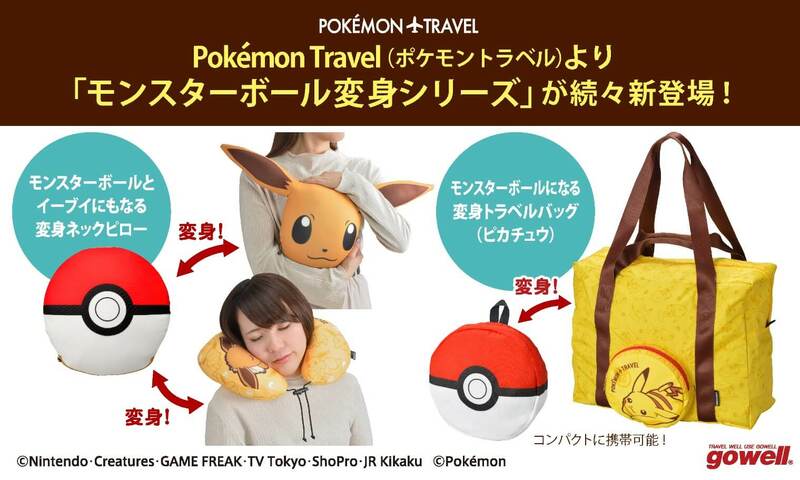 Both the Poké Ball Eevee Neck Pillow and Poké Ball Pikachu Travel Bag will be released at the end of October. This line of fun and eye-catching products was created with real life Pokémon trainers in mind who want to carry around a Poké Ball with them on their travels. All you need to do to turn your Poké Ball into an Eevee neck pillow is move the beads around inside. 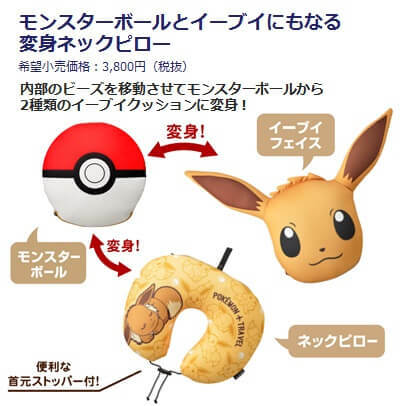 It transforms into two difficult pillows: a neck pillow with an Eevee design or a standard pillow of Eevee’s face. This means not only can you rest your neck but you can also use it as an arm rest, a hugging pillow, or for your back to lean on, making it a very handy thing to take around. Use it on airplanes, on the train or even for long-distance driving. 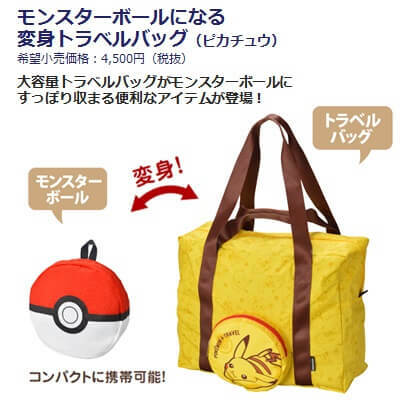 This compact Poké Ball turns into a travel bag with a Pikachu design on it. The size measures up so you can use it as hand luggage on the airplane. Its two-way handles mean it can be worn on your back or carried in your hand. It’s a long journey to catch them all, so get your hands on these cute and convenient new goodies to help you on your way to becoming a Pokémon Master!